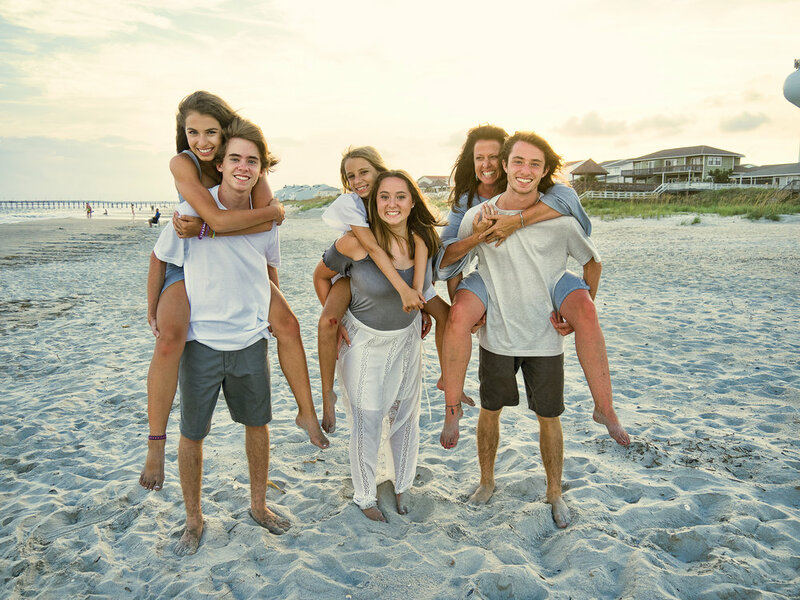 Shot of the kids on Ocean Isle Beach, NC. Billy Beach Photography. Love some props sometimes. 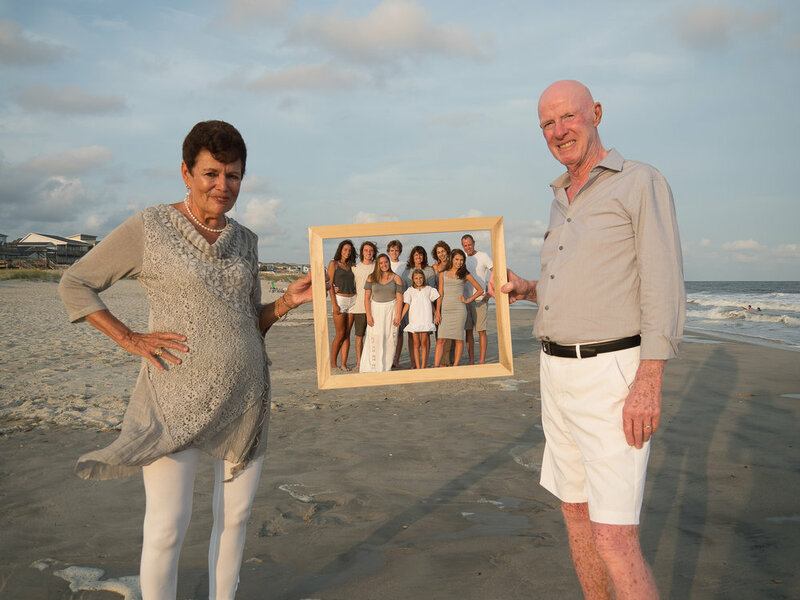 Grandparents holding frame with kids and grandkids. Ocean Isle Beach, NC. Billy Beach Photography. Family shot from the back, looking at the ocean. Ocean Isle Beach, NC. Billy Beach Photography.